It’s important to change your furnace filter. The filter becomes clogged with dust, pet dander, and other particles that restrict air flow. This can cause your furnace to work harder and possibly overheat and shut down. Changing your furnace filter isn’t as complicated as you may think and ensures your system remains operating at its peak efficiency while maximizing the life of your equipment. 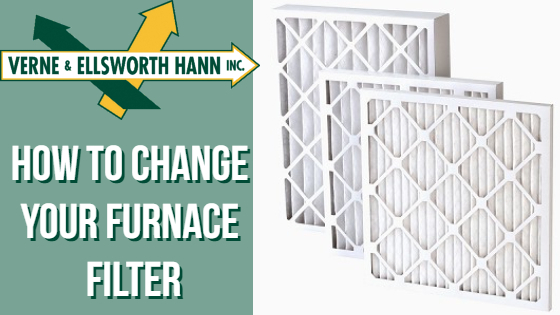 Here are 6 simple steps to change your furnace filter. Turn your furnace off: You can do this by simply turning the thermostat way down and waiting for the furnace to stop running or shut if off at the thermostat. Locate your furnace filter: Most filters are located in the blower compartment or built into the metal ductwork before the blower fan. Figure out the size of your filter: Most filters will have the dimensions right on the cardboard frame around the filter. If not, you can simply measure the width, length and thickness of the filter. Remove the existing filter: It’s a good idea to look at the arrows printed on the existing filter before removing it completely. The arrows will point in the direction of the airflow and allow you to place the new filter in the same direction. Insert the new filter: Slide the new filter into place, in the same direction of the old one. Turn your furnace back on: Turn the thermostat back up to your desired temperature or simply turn it back on at the thermostat. You can place the old filter into a garbage bag to eliminate any debris from getting into your home and discard it. It’s important to know what type of filter your furnace uses and how often you should change it. Some filters are designed to be changed annually while others are to be changed monthly. 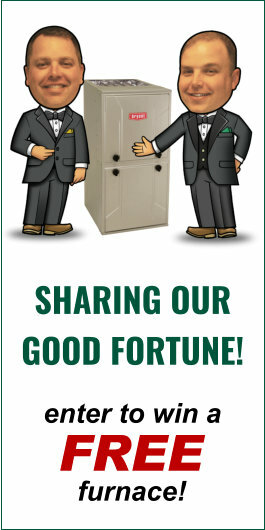 If you have any questions regarding your furnace filter, give Verne & Ellsworth Hann a call. You can schedule annual maintenance on your furnace and let one of our many expert technicians answer your furnace filter questions. Verne & Ellsworth Hann has been servicing Northeast Ohio for over 64 years. With 5 generations of Hann family experience, homeowners trust Verne & Ellsworth Hann for all their heating, cooling and plumbing needs.